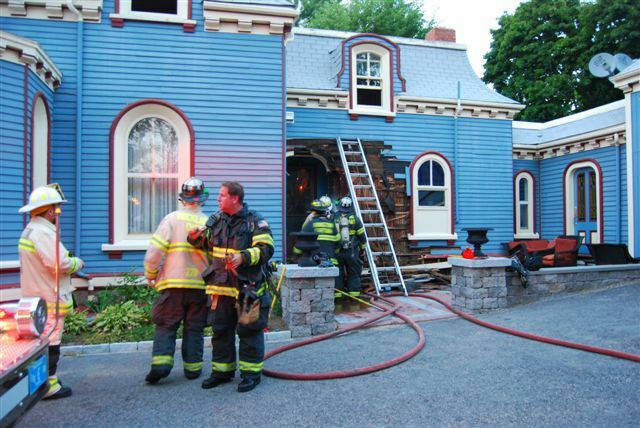 Firefighters managed to confine a blaze in a Victorian house built in 1874 to a first-floor entryway. No one was injured when a fire started in a side entryway at 21 Union St. in Rockland shortly after 7 p.m. Sunday. The homeowners noticed smoke and called for help. The damage was estimated at between $10,000 to $20,000. The cause of the fire is still under investigation.